Towns With names like Yaak, Troy, Fortine and Eureka, the neighboring towns each have unique histories and flavors of their own. Some areas are simply congregations of people, not even quite towns. Eureka is located northeast of Libby in Lincoln County just south of the Canadian border between Port of Roosville. Fortine is along Highway 93 near Green Mountain and Flathead National Forest. The town is in an area called the Tobacco Plains, named because Indians who used to live in the area raised tobacco there. 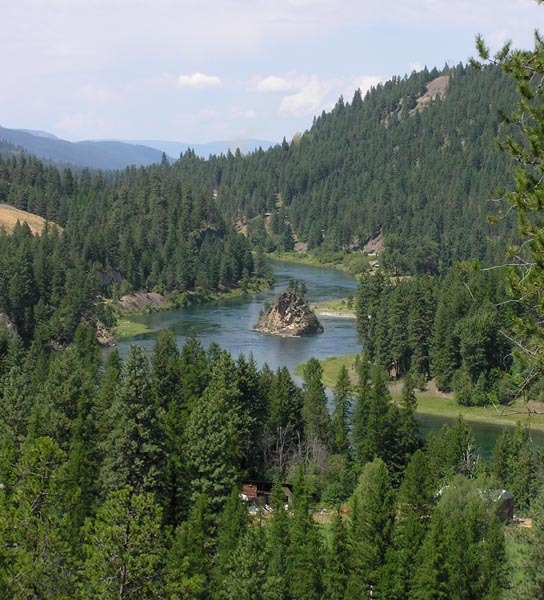 Tucked away in Montana's forested northwest corner, this area offers the Ten Lakes Scenic Area, the Tobacco Valley Historic Village, and the Glen Lake state fishing access site in northwest Montana (accessed by foot or horse only), and Lake Koocanusa. Many different trails enter the mountains sorrounding the Tobacco Valley and offer difficulty ranging from beginner's short trails to expert overnight trails. The area also offers rock climbing at Stone Hill, about fifteen miles out of Eureka along Highway 37, which has rock opportunities of every degree of difficulty, ranging from easy to expert. There are many places in the Tobacco Valley to go boating, fishing, swimming, and/or water skiing. 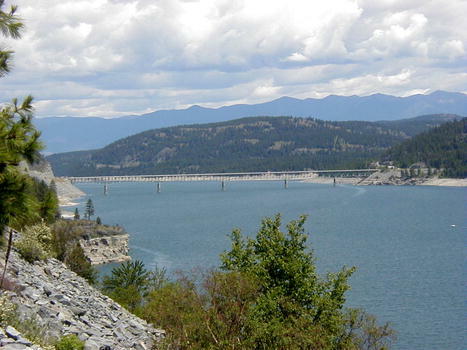 Some of the more popular lakes include Lake Koocanusa, Sophie Lake, Glen Lake, and Dickie Lake. In the winter, outdoor enthusiasts enjoy miles of cross-country skiing and snowmobiling on Forest Service roads. Many of the Forest Service roads and trails turn into perfect areas for cross country skiing. Ice skating and hockey are popular in the area, and hockey games are played on most frozen lakes around the area. Some of the more popular ice skating lakes are Glen Lake, Sophie Lake, Dickie Lake, and Tooley Lake (near the West Kootenai). Ice fishing is very popular in the area with Dickey Lake being the most popular. 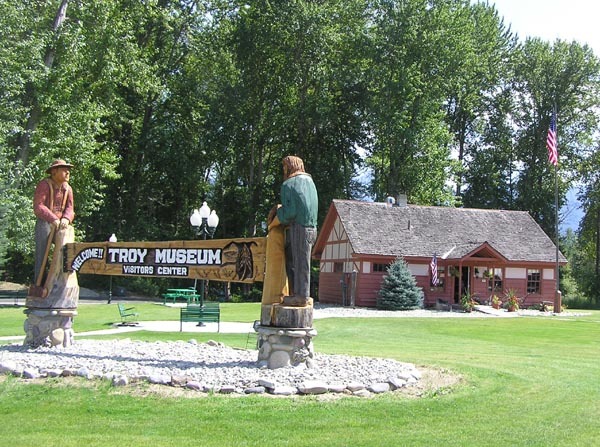 The tiny community of Troy is located along Highway 2 next to the Kooteani River, 18 miles northwest of Libby near the Idaho state line. It has the distinction of being located at the lowest elevation point in the state of Montana, 1889 feet, and has a population of less than 1,000. Grown from a history founded on the railroad, mining and the lumber industry, the town had its beginnings in the late 1800s. It started as a railroad stop for the Great Northern railroad as they built a line through Montana to Seattle, Washington, where it served as a maintenance stop and location to change engines and crews. Later, mining, logging and tourism became the foundation for the local economy. The town was named after the weight measurement "Troy-Ounce" due to the gold mining at the time since this was the measurement of precious metals. The first pioneer church was built in 1894. In early days, the roads between towns weren't very good, and many people used the train to get from Troy to Libby, Eureka and Kalispell. Today, the major industries of the area are mining, cedar wood products, logging, tourism and travel. The town offers abundant recreational opportunities from blue ribbon fishing on the Kootenai River, hiking and backpacking in the Cabinet Mountains, boating and fishing on nearby Bull Lake, visiting the giant cedars in the Ross Creek Scenic area, camping and hunting. Kootenai Falls is located just a short drive to the east of Troy, and Yaak Falls is to the northwest. On the Fourth of July, Troy holds an annual celebration featuring a parade down US Highway 2 culminating at the city park with outdoor entertainment, food booths, vendors and activities for children. The day is topped by an old-fashioned fireworks display that rivals any in the west. 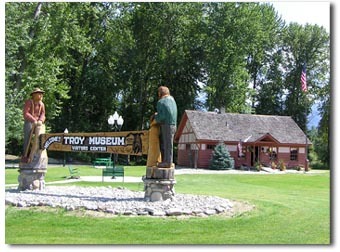 The Troy Museum and Visitor Center, located right on Highway 2 on the east end of town, are open during the summer. Rugged and remote, tucked in the far northwest corner of Montana, is the town and area known as "The Yaak". Newcomers always ask, "How did it get that name?". Some say it comes from an Indian word meaning "arrow", others claim it was named for the caribou that once came this far down from the north. 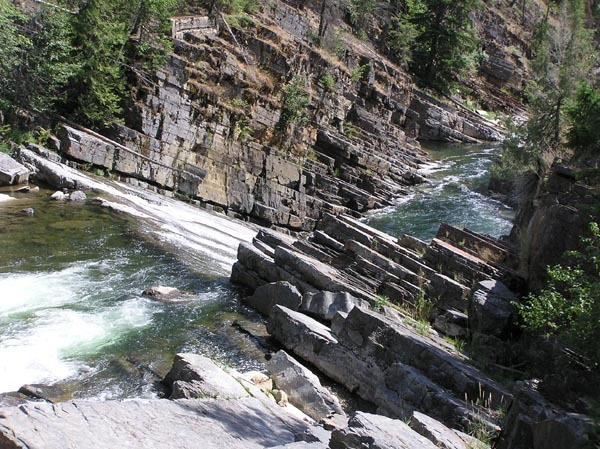 The Yaak River runs through the heart of the area, offering good fishing and many scenic views along the highway. Approximately five hundred people live in this remote area. In the early 1900s, hardy settlers of Troy and Libby migrated to the area. Some looked to homestead, and others worked for the Forest Service fighting fires and packing supplies and materials for the lookout cabins and towers that were being built as a result of the aftermath of the 1910 fire year. 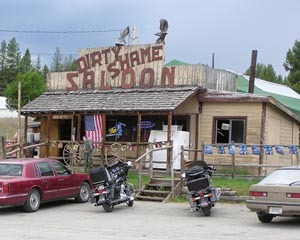 Be sure to stop at the famous Yaak Merchantile and Dirty Shame Saloon when you get to town! The original Yaak Store was built in the early 1930s, and served to supply goods to the local community as well as provide a meeting place for locals to gather and play cards while waiting for the mail to come through. 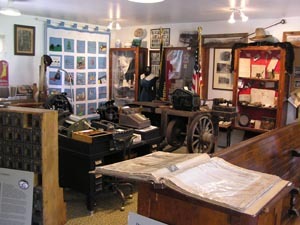 Mail was brought from Troy once a week, weather and conditions along the bumpy road permitting. During the winter, the road was plowed with a bulldozer. A phone was attached to the outside of the store which supplied early locals with contact with the outside world. The first school was built on the south fork of the Yaak River, but burned down in 1932. This structure was replaced by another log building on the north side of the river. Even today, the community of Yaak is tight-knit, yet independent. Some folks still live here without the conveniences of electricity, telephones, running water and indoor plumbing-and like it that way. Some consider the area to be one of the last wild places in the lower 48, and actively work to protect the area from the intrusion of roads and the lumbermen. This is a hard-fought task because the area is heavily forested and beckons the timber industry. Many in the community work in the timber industry, yet have very strong feelings about forest management and preservation, and the protection of the endangered wildlife species that live in the forest. The Yaak area contains the remote Northwest Peaks Scenic Area, which features rugged mountain scenery and wilderness backpacking opportunities. Between Yaak and Troy lies Yaak Falls, a spectacular series of tumbling rapids and falls that are a photographer's delight. From Yaak, you can either continue straight on the highway to loop over to Eureka, or take the Pipe Creek Road over paved Pipe Creek Pass and return to Libby. Both are scenic drives through mountains and forest, with plenty of opportunities to see wildlife, so drive carefully.